Plug-n-Play RGBHV to YPbPr Converter. 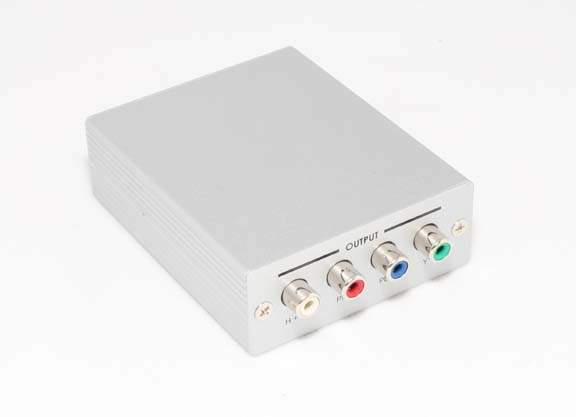 It enables you to view PC graphic image on a HDTV via YPbPr Component connection. Simple to operate, plug and play. To view PC image on component HDTV. Compatible with both interlaced and progressive RGB input.